Screenshot of 99 Percent's music video "Does Ya Mama Know #Heynow." 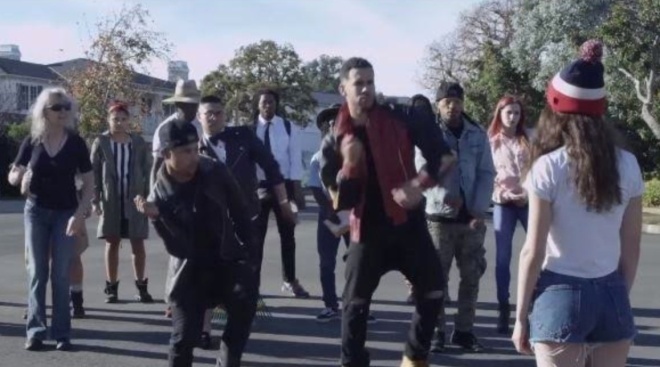 Vallejo rap duo 99 Percent has tapped into the craze of viral dance videos such as the Nae Nae and has piqued the interest of Disney and Nickelodeon with their latest hashtagged song, "Does Ya Mama Know? (Dance Like That) #Heynow." It's the third single for Cameron Schauer and Johnnie Jacob Jr., who are signed to Atlantic Records. 2014's "Yike In It" was played on local urban station KMEL, while the accompanying video racked up close to 2.5 million views on YouTube. A publicity representative estimates that 99 Percent videos have collectively garnered more than 32 million views. Radio Disney has selected the group as an act to watch, and a meeting with Nickelodeon to discuss possible promotional activities is scheduled for later this week. 99 Percent will perform their singles on a bill with "Nae Nae" creators We Are Toonz, Silento and other acts at Live Nation's Let's Dance The Tour on April 10 at the Masonic in San Francisco.